During their learning journey, individuals acquire knowledge and skills that ought to be relevant for their career endeavours. The provision of quality education and its assurance is the responsibility of national governments. Yet, business and industry also offer training to human resources that supplements formal education. Very often, educators are expected to respond to challenging issues such as skill shortages and mismatches where candidates lack certain competencies although they attended compulsory education (Allen and De Weert, 2007). 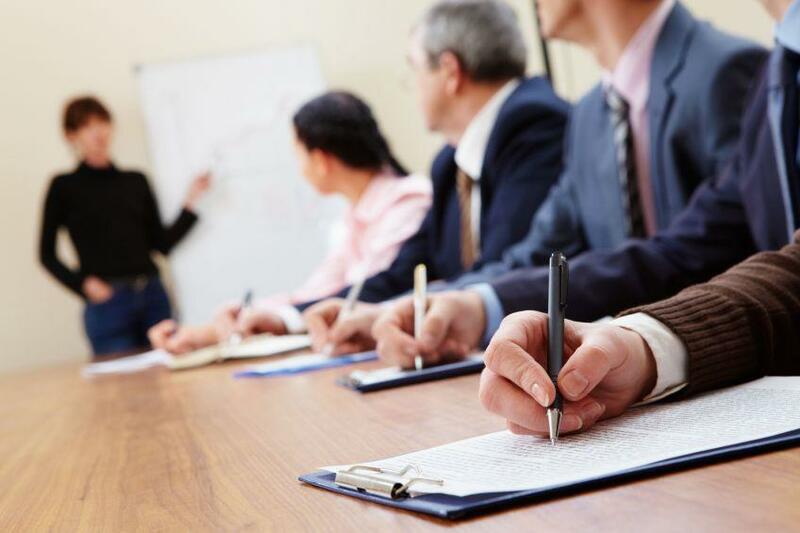 Their knowledge and skills may be too deep to bridge through corporate training sessions. Perhaps, there is an opportunity for global businesses to compensate for this deficiency in the education (Gibb, 1993). Corporations can shift their operations where it is viable for them to tap qualified employees. However, the constraints on their growth can be halted by the broad impact of inadequate education and training in some industries or regions. In this light, this chapter contends that big businesses may become key players in addressing unmet needs in education. Several companies have the resources and the political influence to help improve educational outcomes; which will in turn help them cultivate local talent. Leading businesses are already devising corporate social responsibility (CSR) programmes that are actively supporting education across many contexts. Therefore, this chapter redefines the private sector’s role in the realms of education. It posits that there are win-win opportunities for companies and national governments as they nurture human capital. Indeed, companies can create synergistic value for both business and society (Camilleri, 2015a). In the main, such a strategic approach may result in new business models and cross-sector collaborations that will inevitably lead to operational efficiencies, cost savings and significant improvements to the firms’ bottom lines (Pearce and Doh, 2012; Porter and Kramer, 2011). Notwithstanding, this contribution suggests that the businesses’ involvement in setting curricula may also help to improve the effectiveness of education systems in many contexts (Azevedo, Apfelthaler and Hurst, 2012; Seethamraju, 2012). Businesses can become key stakeholders in aligning educational programmes with their human capital requirements in the job market (Walker and Black, 2000). There is a possibility that their CSR programmes reconnect their economic success with societal progress. Many companies are gaining a high reputation in corporate social and responsibility. While the cause marketing of the past primarily targeted consumers in sales transactions, today’s cause marketing is often concerned with the company’s strongest ambassadors — its employees (Kotler and Lee, 2008). Undoubtedly, businesses are contributing to the well-being of their human resources and the surrounding communities. Yet, other firms may resort to CSR and greenwashing to generate publicity and positive impressions among stakeholders (Visser, 2011; Jahdi and Acikdilli, 2009). Many academics, argue that the most successful CSR strategy is to align a company’s social and environmental activities with its business purpose and values (Visser, 2011; Porter and Kramer, 2011). Responsible actions have the power to reconceive the organisations’ purpose and values toward society. The first step towards developing a CSR mentality is to re-define the principles of the company. Arguably, the role of senior management is crucial in instilling an ethos for genuine CSR behaviours among employees. Businesses know that prospective employees consider a variety of factors as they evaluate careers. Some individuals value financial incentives, including salary, bonus potential and benefits (Gerhart and Fang, 2014; Bloom and Milkovich, 1998). Others may focus on professional development, advancement opportunities and location (Kehoe and Wright, 2013; Hunt and Michael, 1983). However, only recently multinational companies seem to realise that through CSR they can better engage with their employees (Bhattacharya, Sen and Korschun, 2008). Evidently, CSR can provide incentives to employees that may potentially be even more alluring than money (Branco and Rodrigues, 2006). Socially Responsible HRM affects employee task performance and extra-role helping behaviour (Shen and Benson, 2014; Korschun, Bhattacharya and Swain, 2014). In fact, their empirical results indicated that CSR that is directed toward employees is an indirect predictor of individual task performance and extra-role helping behaviour. Another study by Deloitte (2004) has yielded very similar results. 72% of US respondents indicated that they would opt to work for a company that also supports charitable causes; if they had to choose between two jobs offering the same location, job description, pay, and benefits. According to this study, the majority of the youngest survey participants have indicated that their decision to work for their current employer was based on company culture or reputation (Pfeffer, 2007; Deloitte, 2004). Evidently, these respondents also valued the opportunities for growth and development as well as their salary and benefits package. This Deloitte study has indicated that the corporate social responsibility agenda will remain relevant for tomorrow’s business leaders. Apparently, the youths’ generic characteristics may bring distinct CSR behaviours (Pomering and Dolnicar, 2009). Young people often place high importance on making a positive impact on society. Very often, organisations are capitalising on corporate influence on social trends including sport activities (Smith and Westerbeek, 2007). Such a viewpoint could encourage an examination of the overlaps between the social responsibilities of sport and business. These findings seem to suggest that employees want to belong to an organisation that stands for more than financial performance (Korschun et al., 2014; Vanhamme, Lindgreen, Reast and van Popering, 2012; Tang, Hull and Rothenberg, 2012). Employees are attracted by companies that are truly CSR-oriented. In addition, the businesses’ genuine intentions and goodwill can help to improve the brands’ image among stakeholders. Thus, even if employees do participate in CSR initiatives, they still want to be associated with an organisation that cares about its social impact (Shen and Benson, 2014). Therefore, it is in the companies’ self-interest to underline their CSR performance during events that are aimed to attract top talent. Apparently, more companies are realising that CSR is a great opportunity to engage with employees and to illustrate their commitment to the community at large. Citation: Camilleri, M.A. (2015) Re-conceiving CSR Programmes for Education. In Vertigans, S. & Idowu, S.O., Corporate Social Responsibility: Academic Insights and Impacts, Springer (Forthcoming).